Over the past decade, Fran Sillau has served as a teacher, writer, director, actor, and producer. With an extensive background in Theatre for Youth, Sillau has worked for both Lexington Children’s Theatre and Omaha Theater Company. The Arts, and The Children’s Theater Foundation of America. 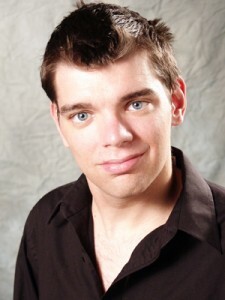 Sillau served as a Teaching Artist Fellow for VSA, an affiliate of the John F. Kennedy Center for the Performing Arts. Currently, he conducts arts education professional development for teachers. To date, he has conducted workshops in Iowa, Nebraska, Kentucky, North Dakota, Tennessee, New York State, Washington State, Connecticut, and at the Smithsonian American Art Museum in Washington D.C. Another focus of Sillau is in teaching workshops specifically for youth with physical and developmental disabilities. In this work, he uses theater as a tool to help every child, disabled or not, to see the good and power within themselves. His professional activities can be found at www.Fransillau.com. In 2004, he co-founded and served as artistic director for Rusty Horse Productions, an organization dedicated to bringing the arts to rural and economically disadvantaged communities. Under his leadership, the company has produced numerous productions and workshops for youth across southwest Iowa and Nebraska. With Rusty Horse Productions, Sillau directed regional premiers of Gail Erwin’s “The Nitnoid Wars” and James Still’s “And Then They Came For Me: Remembering the World of Anne Frank.” He also directed the regional premier of “Hannah’s Suitcase,” and the mainstage revival of “Go Dog Go!” for the Omaha Theater Company. Another production, “The Secret Life of Girls,” is scheduled to open in January of 2012, being produced in conjunction with the Great Plains Office of the Anti-Defamation League.